← SpookyGhost Show Tomorrow ! Thursday 7 pm Rockwood. Hope to see you all and thanks for considering. 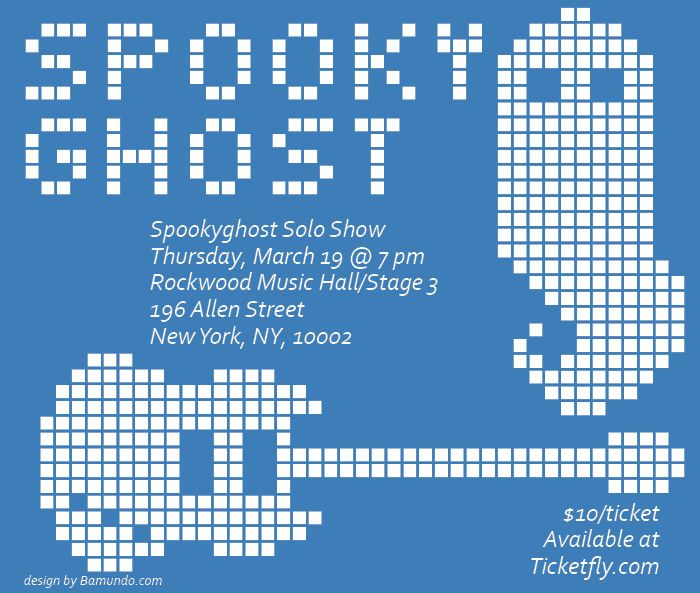 Spookyghost solo show in New York City on Thursday March 19th at 7 pm. The show will be at Rockwood Music Hall Stage 3. Running time for the show is one hour. It’s been way too long since the ghost has played his own music live and this should be a really fun night. The new Spookyghost three album is under way and there will be pieces from all three albums performed. It would be great to see you all. And feel free to post and pass this on. And if you have any requests then send them on to me at ghostsitemailbox@gmail.com . 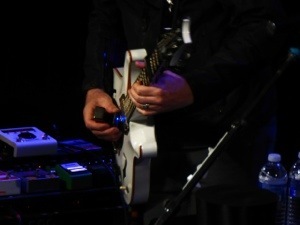 This entry was posted in News and tagged Bowie, davidbowie, duncansheik, Gerry Leonard, gerryleonard, mesaboogie, paulreedsmith, prs, spookyghost, suzannevega, tour. Bookmark the permalink.